Those looking forward to shorter travel times between Toronto and Windsor will have to wait. 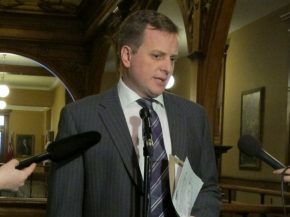 The Province has revealed that it is to pause all capital funding for a proposed high-speed rail corridor between the two cities. The Ford Government is instead to focus attention and funding on exploring ways to enhance current train speeds and service levels. Transportation Minister Jeff Yurek put the decision down to ”fiscal challenges,” saying the government needs to ensure value for money. The Wynne Liberals had proposed a high speed line connecting Toronto to London, Ontario by 2025, with an extension to Windsor planned by 20-31.